Priscilla Schelp is a Swiss German citizen. She studied Logistics in Germany and took additional courses in languages and investments at the Auckland Business School in New Zealand. She got accepted at the three year political trainee programme of Germany’s ruling party CDU and completed her studies and the trainee programme in parallel successfully in the regular duration in 2011. She obtained several scholarships during her undergraduate and also for subsequent studies, for example by one of the most regarded German foundations Konrad-Adenauer-Stiftung. In 2011 she got awarded with a Junior Management Award by one of the oldest Industry and Trade Associations in Germany. After her undergraduate she worked for NTT Data (former BMW in house consulting) and advised BMW, Rolls Royce Cars, and Volkswagen in Germany and the UK. Afterwards, she worked for the Risk Consulting Department of KPMG Germany and consulted leading international companies of various sectors on the risks. She took a sabbatical in 2013 – 2014 to do a Master Degree in Logistics and Supply Chain Management at the Cranfield University in United Kingdom. After her studies she returned to KPMG but in Singapore. She developed a procurement risk management framework for one of the largest NGO’s. The NGO also is involved in the rehabilitation of destroyed infrastructure by disasters such as airports e.g. in Africa. Furthermore, she consulted the board of companies of various sectors on the risks to their business strategy. The majority of her time in Asia she spent on a major airport expansion project in Asia – being responsible for the risk identification but also was involved in risk reporting. She returned to the Cranfield University as she got awarded with a full scholarship of the university to commence a PhD to research the effect of disasters such as e.g. political instabilities, natural catastrophes and terrorism on the performance of organizations. In that context, Ms. Schelp also evaluated the impact of such events on airlines and airports. After one time of full-time studies she switched into part-time and returned to Germany and joined PwC’s risk consulting practice. 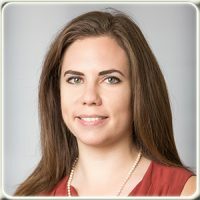 There she consulted as Senior Associate Boards of listed companies on the alignment of risk management and worked on the risk side of a major international transaction (carve-out). 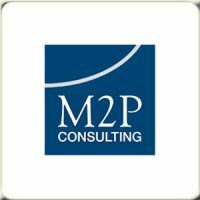 Priscilla Schelp joined M2P Consulting in 2017. She is the manager leading the Venture and Capital Partners below the responsible partner. She also is the Head of Infrastructure and the Head of Risk Solutions. Ms. Schelp is leading a team of highly skilled professionals developing various solutions and services in the area of airport construction and privatization.